The smell of burnt rubber and the high-pitch squeal of tires sliding through the turns accompany the roar of four turbocharged cylinders. Through the smoke, a sleek, bold and aggressive statement could be seen and heard as a fiery-red Silvia drifts by. Its driver, Nobuteru “NOB” Taniguchi, is a skilled pilot navigating the course with surgical precision in the HKS Silvia S15. 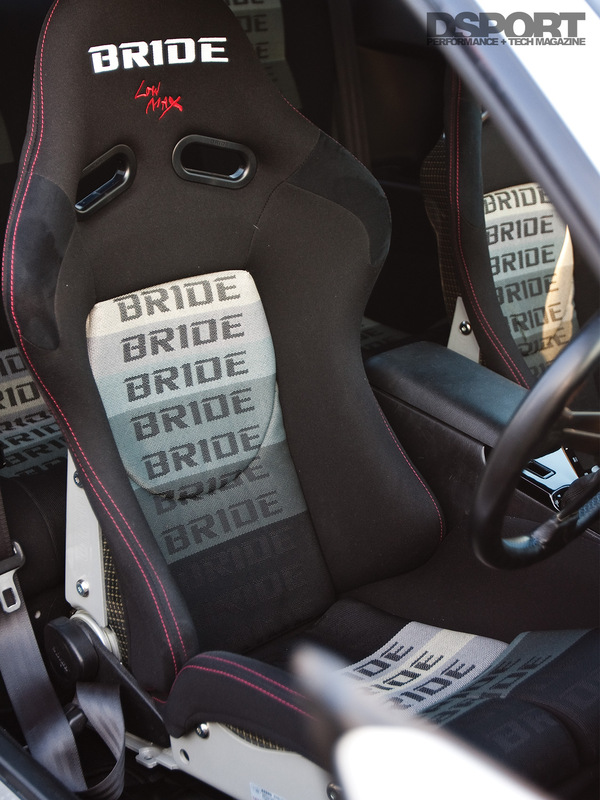 High-profile builds like the HKS Silvia fueled America’s faith in Nissan’s “S” chassis at a time when few had any interest in the US-spec 240SX. While Japanese versions of the “S” chassis came with factory-turbocharged CA18DET or SR20DET engines, America was given the naturally-aspirated KA24SE and KA24DE engines. Eventually, SR20DET engine swaps and the rising popularity of drifting in the States started an entirely new revolution, driving new demand for SR20DET tuning components. 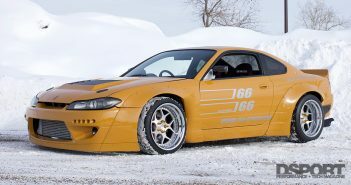 HKS and Vertex joined forces to give this eight-year-old Silvia S15 a makeover. 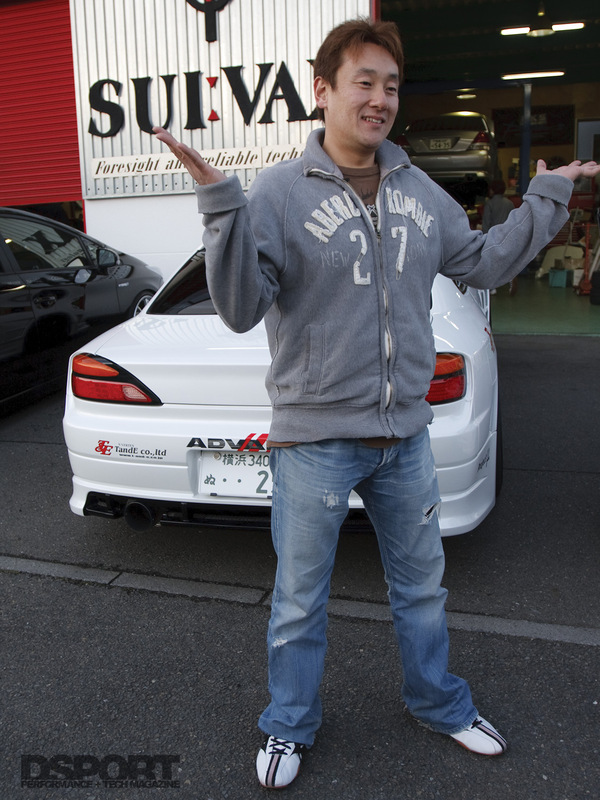 Taniguchi sold his old red S15 and purchased a white S15 for the development project. The SR20DET engine had been in production from the release of the S13 chassis in 1989 until the S15 was discontinued in August 2002. 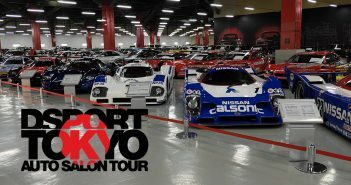 HKS recognized the thirteen year legacy of Nissan’s turbocharged two-liter engine, revitalizing its development program for the engine. It developed and manufactured many tuning parts for the SR20DET throughout the years, but decided the engine’s popularity among enthusiasts and tuners warranted a development renewal. Known as the “Restart HKS SR20 Project”, the engineers reviewed and renewed several key engine components to meet current end users’ needs. HKS decided to update existing SR20DET camshaft profiles. Working with the same durations, HKS changed the shape of the lobes to deliver increased performance on the dyno. Compared to the original designs, the new camshafts (Step 1, 2 and 3) feature revisions to lift, ramp and valve timing acceleration. When combined with the proper turbo measurable horsepower gains will be seen. 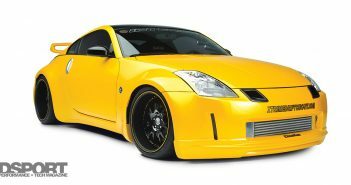 When engines are tuned to produce power levels that are 50-percent or more over the original power level, overtaxing of various systems can occur. Increasing horsepower generates immense waste heat. The more horsepower made, the more waste heat is put into the cooling, oil system and engine compartment. Taniguchi’s S15 relies on a Koyo aluminum radiator to keep the coolant temperatures in check. To keep engine oil temperatures in check, oil coolers are a smart addition. Oil coolers exchange heat between the crankcase oil and the atmosphere. For track vehicles that run hard for extended periods of time, one or two oil coolers can be essential. For Taniguchi’s Silvia, there’s an oil cooler in front of each tire, increasing the surface area available for heat exchange to keep engine oil temps in check. Hypermax D “NOB-spec” coilovers feature adjustable camber plates that also provide caster adjustment. 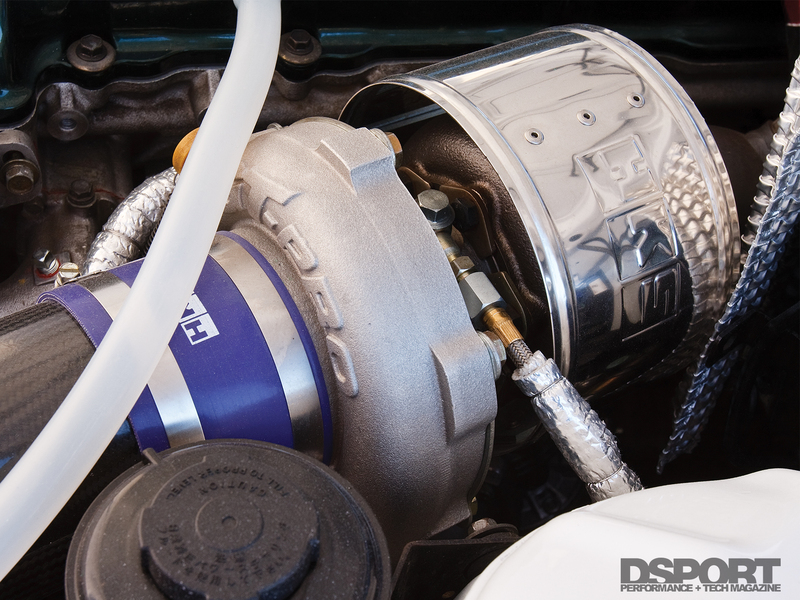 The Restart program also addressed HKS’s forced induction offerings. The HKS GT Full Turbine Kit takes the sport turbo upgrades of the past up to a higher level. A cast, top-mount manifold solution facilitates the use of HKS’ quick spooling GT2835R or heavy-hitting GT3037S ball-bearing turbochargers. Offering a cast turbo manifold improved durability and affordability without sacrificing too much in the way of additional weight. This new manifold design incorporates an HKS racing external wastegate to maintain prescribed boost pressures. HKS tested the Step 1 camshafts with the GT2835R at 22 psi on a otherwise-stock SR20DET engine and generated over 470 horsepower. For peak power and improved response, increasing the engine displacement delivers the goods. 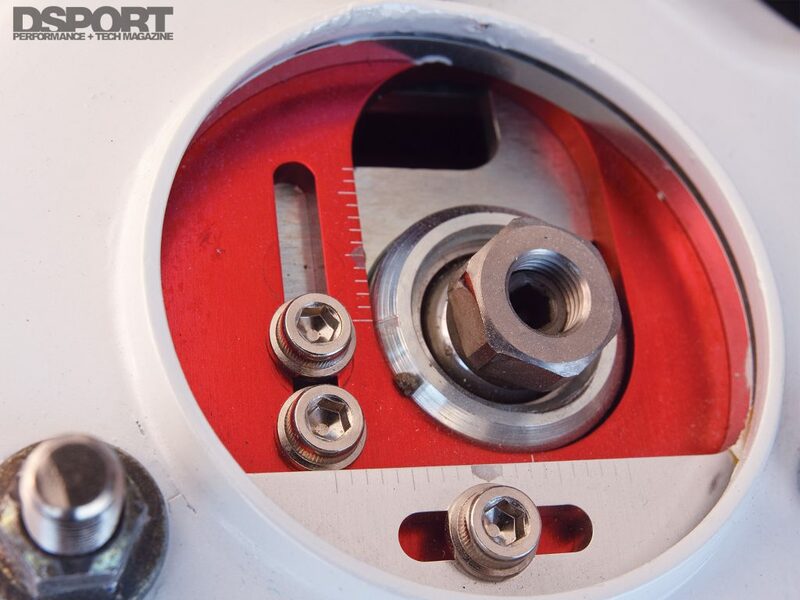 The Restart efforts led to the development of the SR20DET 2.2L Step 1 Stroker kit. This kit increases the bore by 0.5mm and the stroke by 5mm. The new bore and stroke of 86.5mm x 91mm yields a total displacement of 2,139cc, an increase of seven percent over stock. The increased displacement produces additional high-enthalpy gasses to improve the response of larger, high capacity turbochargers. HKS believes that the Step 1 stroker kit, GT3037S and Step 2 cam combination can easily eclipse the 500 horsepower mark on the dyno. With more power on tap thanks to HKS’s new-generation of SR20DET performance parts, Taniguchi turned to his friend and fellow D1GP competitor Takahiro Ueno to design a new wide-body kit for the S15. Ueno’s aerodynamics company T&E Co. (Technical & Elegant), the parent company of Vertex, designed every S15 aero kit at Taniguchi’s request. 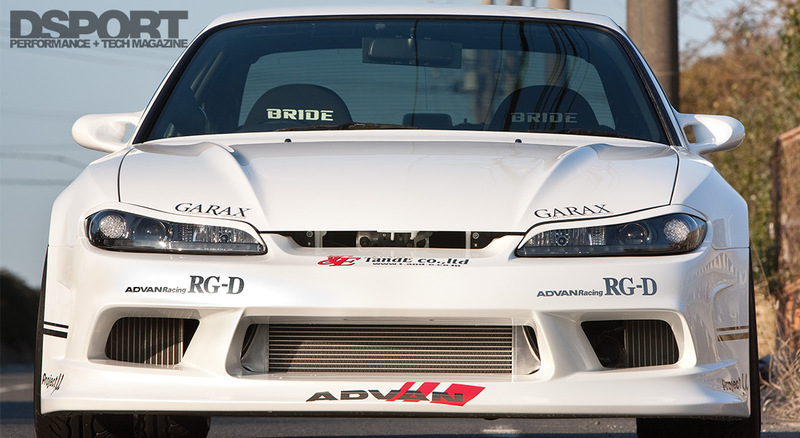 The original Vertex body kit was designed for Taniguchi’s personal S15, while the Vertex Ridge wide-body kit was penned for Taniguchi’s D1GP car. This new aero system is dubbed the Vertex Edge (Ueno consistently uses geometry terms to name the various Vertex kit lines). In this case, Ueno takes styling cues from the Vertex Lang design. Ueno combines some of the best traits of the Lang kit and blends it with a fresh approach to aerodynamics. The most noticeable changes occur at the front and rear. The air dam features openings shaped differently than previous Vertex designs. Vents at the sides of the front bumper channel heat-exchanged air from the oil coolers to the sides of the front tires instead of at them. At the rear, a new vented-bumper design facilitates the release of air pressure that builds up behind the rear bumper for reduced drag. These traits work together to deliver a modern twist on a timeless body line. The man behind Vertex: Takahiro Ueno. Ueno designs all of the aero kits produced by T&E Co. We asked Ueno-san, “Will there be Vertex Edge kits for other vehicle applications?” At this time, Ueno is not sure. But he does have supplemental components like canards and diffusers for the Edge System that should become available soon. 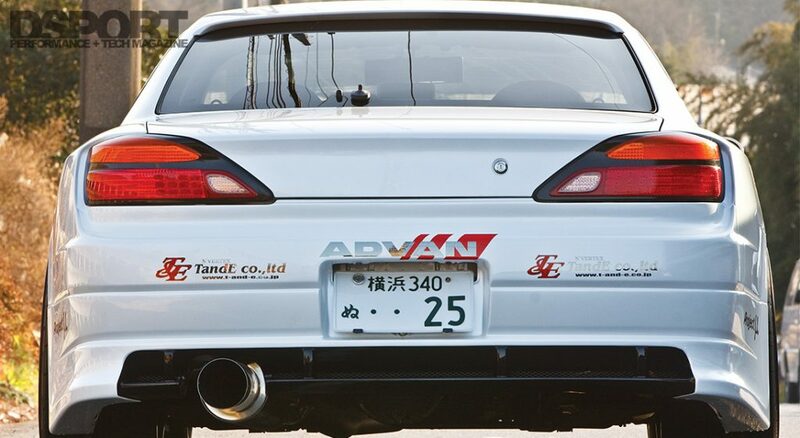 Taniguchi’s S15 made its debut at the Tokyo Auto Salon on January 15, 2010. Ueno and his team put the finishing touch on the new Edge kit just before the show began. Validating the sleepless nights, HKS and Vertex completed a successful remix to an already proven and lasting design. Although this particular S15 wasn’t built with competition in mind, don’t be surprised to see it at the track or on the touge at full tilt with Taniguchi at the wheel.